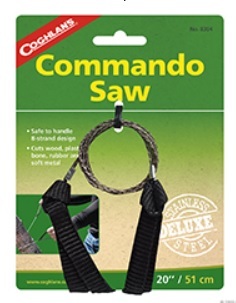 The COGHLANS Commando Saw cuts wood, plastic, bone, rubber or soft metal. Unique 8-strand design. Durable nylon wrist straps.